[Pete Edwards] and [Fred Owsley] openly admitted that the title was the most thinly veiled audience-bait ever constructed. Nevertheless, they poured through a great talk covering the basics of circuit bending and some of the pieces they had built over the years. Fred said that what attracts him to circuit bending is the hands on approach to something very scientific i.e. he can figure out how to construct an interesting circuit by rubbing his finger along the back of the board. As far as where to start: always a battery powered device and use the toy store as a last resort. You’re going to tear the thing apart so why pay for it? Dumpster diving, garage sales, swap meets, and flea markets are all places to look. Parts don’t need to be anything better than grab bag either. They suggested an easy first step is dropping the operating voltage of your device and seeing how it reacts. 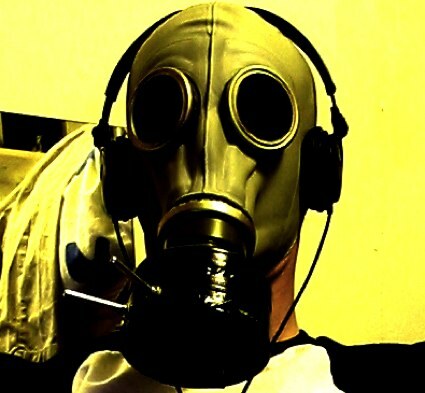 Pete and Fred had several examples of devices they’ve modified: Speak & Spells, Casio SA keyboards, Barbi karaoke machines, and the voice changing gas mask pictured above. The Bent Festival for circuit bending is coming up soon if you’d like to see more. You can also check out these links for more information on circuit bending.